My alarm went off chirpily at 3am, but it needn’t have bothered, I’d already been awake since 2.30, in a bleary-eyed excitement stupor. ‘Yes! It’s 3am! I can get up now.’ I thought. I love the pre-race early hours, the making of porridge when nobody else is awake except for people stumbling home from late night clubs, or indeed still in them. This routine, so familiar to me now, is almost as special as lining up at the race start itself, although nothing will ever beat those water-treading race beginnings. Porridge and coffee in tum, I secured my bike to the car at 4am, and hit the road for an hour of house music and Tinie Tempah, my audio drug of choice, driving in the darkness with anticipatory adrenaline pumping through my sleep starved bod. We can skip over 5am to 7am. It involves, as always, endless faffing around with talc and towels and energy gels and positioning of laces until someone shouts ‘get OUT of transition! Leave!’, and a toilet situation akin only to the one at the Full Moon Party in Thailand, and that which we shall never speak of again. Nothing will ever come close to the spine-tingling silence of the precious moments before the race goes off. Tens to hundreds of wetsuit, matching-capped, goggle-clad triathletes, made equal for these moments before the test begins. We look around us, some nervously produce a quick smile at each other. The ‘shhh’ of the breeze across the water, and sloshing noises, limbs nervous in neoprene, whilst the sun twinkles on the water. It’s the quiet before the storm, and I always smile – the contrast between this special moment and what lies ahead is always living, so rampantly, to me. I looked behind me at eight minutes past seven. I was up to my shoulders in a lake, and there were far too many men behind me. 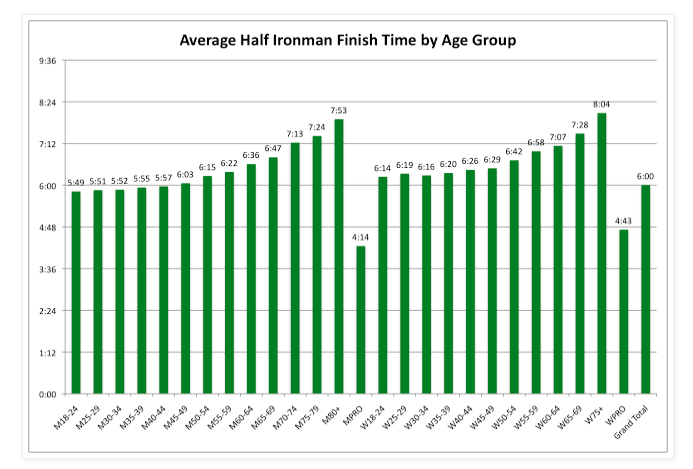 This meant one thing only, as per usual I’d started near the front of the race wave, due to over-zealous competitiveness, and was likely to have issues because of it. It seemed that it was me and all men, all men and me. I turned around and said ‘Oh crap, I’m going to get swum over.’ a few people smiled or laughed. The whistle went, and I got swum over. ‘Oh for f* sake,’ I thought. ‘Shall I carry on or shall I take a moment’? I had to take a moment. I stopped swimming and flapped around, looked around me, face out of the water. A man selflessly asked me, ‘are you ok?’ ‘yes, I am ok, thanks,’ I said. I knew I was. I just needed a moment despite the clock ticking. ‘Ok, let’s try again’, I thought. I swam, tried to find space and calm in the dark weedy adrenaline-filled swim start, 1.9km stretching out, a marathon-like task ahead of me in that moment. The ‘click’ moment came thanks to a positive image in my mind. I did what I have taught myself to do and told myself loudly and repeatedly that I was just swimming in my local lake – this is just a training session, you are enjoying it, relax. In that moment I saw El’s huge smile, I’d been lake swimming with her recently, and picturing that moment, she grinned in her violently green swimsuit at me, and a sense of calm washed over me. Between that moment (bar a fight between my goggles and a man, followed by some colourful language falling from my mouth) it was a strong swim to the swim exit. I had two helpers pull me out of the lake, one grabbing each arm. Ripping the cap and goggles off as I ran, the race was underway. I was so flipping proud of myself for nailing that swim. It is one hell of a lot harder than it looks, especially when confronted with those moments that your brain wants you to abort mission. Time to get to work on that sub six. I had not ‘trained’ per se for this race. I just ride and run a lot, and I’d thrown in a few lake swims. 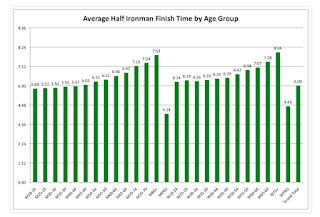 My Ironman took me 14.5 hours, so it seemed reasonable to go for a sub-six hour race on a flat course. Based on absolutely nothing whatsoever. The average finisher time (based on 67,000) for a half is six hours, and for women 35-40, this increases to six hours twenty minutes. 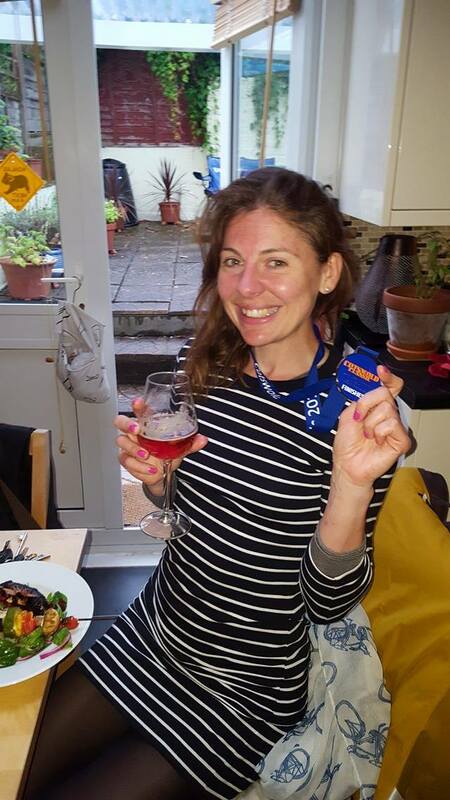 Although people were telling me to ‘just enjoy it’, the truth is that the twitchy nervousness, complete with over-tidying of my flat and being weird around my friends started a whole week out from my race. I wanted to be better than average. The day was here to give it my all. I lost my bottle (literally) early on in the bike section, and thus spent the first 20 miles worrying about when the next aid station was. That was the most action that happened on the bike, although I was cat and mousing with some guy called Jason, we passed each other about eight times in total – I do love making a bike course buddy. When I passed him with a long line of racers stretched out ahead of us, I said ‘come on dude let’s av em’ as I passed, and together we smashed right past that long line of racers. But aside from bike section-buddy Jay, it was me and Contessa, Contessa and me, and I did have a good chat with her now and again, which is not uncommon in a race situation. It’s nice to feel I’m in a team, even if it’s with a piece of carbon – a loved bike becomes far more than the sum of it’s parts. As usual I lost my bike spot in T2, but still managed to make it out in just over two minutes. The run course was three laps, which is mentally challenging. I figured that if I ran a sub 9min/mile for the half that I’d come in under six hours. At mile four I had a mental wobble and decided in a split second that I wanted to cry. I did not cry. I decided to take a leaf out of Anna-Marie’s book (an ultra-marathon runner/winner!) and count to 100. This was surprisingly effective, and I spent the majority of the next eight miles repeatedly counting to 100 and dedicating each 100 to thinking about people that matter to me in some way. Essentially, feeling gratitude for their awesomeness. The notion did not escape me that I was thinking of others in order to achieve something entirely selfish. Pondering the quandary of selfish gratitude aside, this was an excellent route to a 1:47 half marathon. Finisher funnels and race reflections. As I neared the final mile and the finisher funnel, I smiled – a lot. ‘It’s my last lap!’ I chirped to the marshals I passed. I grinned really quite hard. I’d nailed not only a sub six but a sub five-and-a-half! Man, I was so proud of myself. I pushed and pushed constantly for all of that time. I did not ‘enjoy’ it, but I endured it, and I am proud of my achievement, it’s a result of training through good times and bad and through all sorts of weather. The nerves, the training, the sweat, and oh yes, the vomit down my thigh on the bike (as usual!) were all part of the journey towards the certain text of time passing, and with it, a finisher medal and PB. 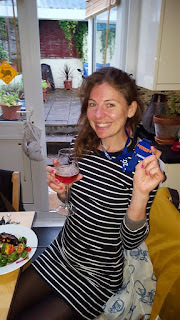 The day had been in my diary for over seven months, and oddly, the swim exit, the dismount line and the finisher funnel arrived in much the same way as that day did – like they would never come, but conversely arriving so quickly. It’s a lesson for me, that it’s ok to endure hard things, because I emerge stronger, and, whilst on this planet, there will always be a finisher funnel for every test in life, even though it often doesn’t feel like it at the time. Celebrating with Pimms and a BBQ!